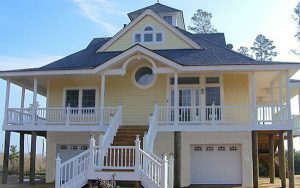 Our Lake House Plans can help you build that special summer place for you and your family to get away from it all – a special house overlooking the lake or coastal waterway. 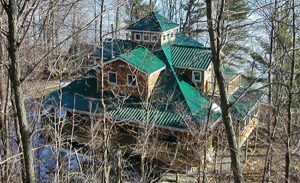 But the lake house as a weekend or vacation getaway is only one use of the contemporary cottage. 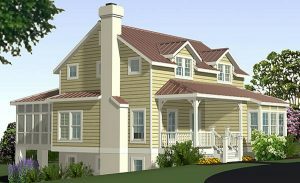 The house plans from Southern Cottages are equally appropriate as a permanent residence. The smaller house plans are a perfect home for young married, empty nesters and retirees. The larger house plans provide ample space for a large family. 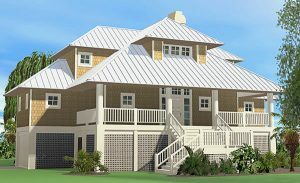 The Mountain Cottage is a variation of the Island Cottage and illustrates one of the many customizations of this versatile plan.